Bobby wants a tablet but to his dismay, he spent his money on comic books and candy. His parents are teaching him a lesson and he thinks it’s unfair. What do you think? His grandparents come to visit and Grandma tells Bobby a story about an elephant who makes him realize if he works hard and spends his money more wisely, he could have enough money to buy the things he wants. Bobby wants a tablet but to his dismay, he spent his money on comic books and candy. His parents are teaching him a lesson and he thinks it’s unfair. What do you think? His grandparents come to visit and Grandma tells Bobby a story about an elephant who makes him realize if he works hard and spends his money more wisely, he could have enough money to buy the things he wants. 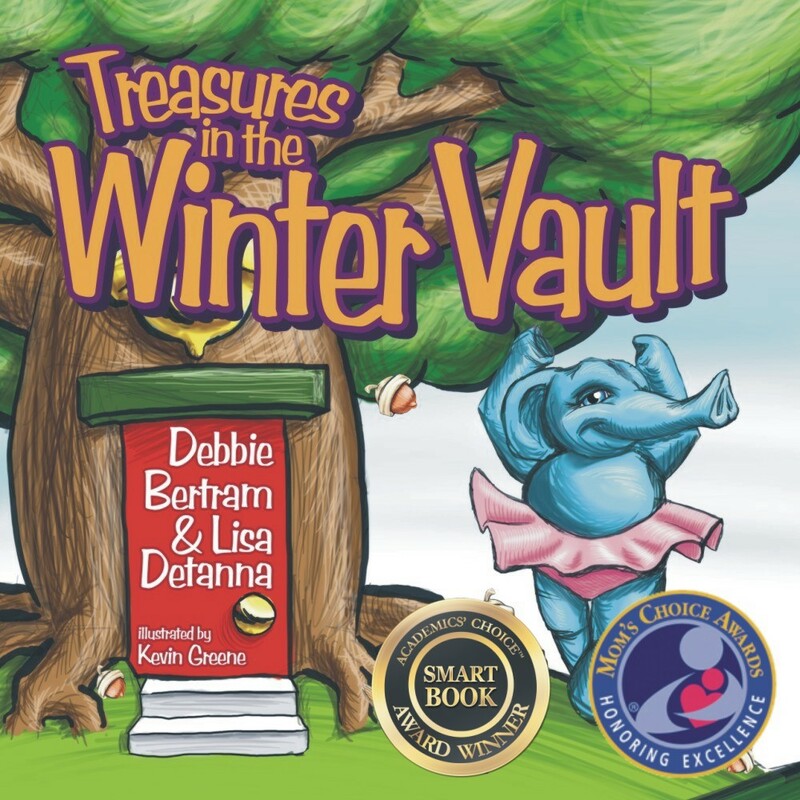 Debbie Bertram and Lisa Detanna bring financial literacy to the younger set with a tale of friendship, family, and key elements toward saving for the future. Beautifully illustrated by talented artist, Kevin Greene, Treasures in the Winter Vault will delight all ages. Lisa Detanna and the Global Wealth Solutions Group of Raymond James Beverly Hills are honored to be sponsoring numerous Financial Literacy Tours with the rock group GOODING in 2015. The Financial Literacy Tour uses the power of a live rock performance and personal stories to inspire young people with lessons of finance and discipline to help them see their own dreams as possibilities. Through a concert, multimedia presentation and talkback, they discuss the danger of credit card debt and benefits of saving early, while exposing the myth of rock stars, athletes and actors who sell the false image of overnight success. Students who do not receive this message early, often drop out of college and get caught in a cycle of financial irresponsibility. The H.I.S.S. of the A.S.P.